It snowed here last night in New Hampshire. There are a couple inches of horrible frozen crunch on the ground. 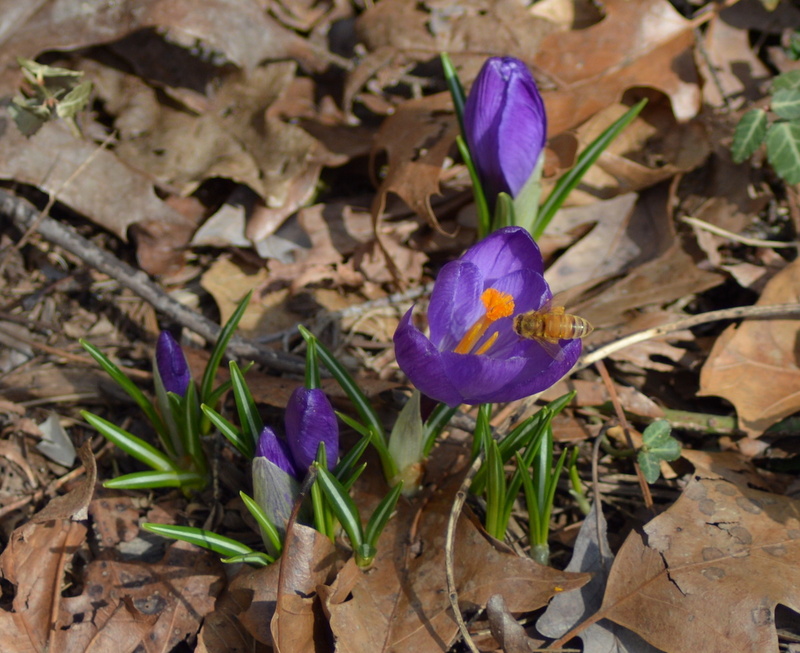 I guess we're not ready for bees just yet. But I'll believe them when I see them. 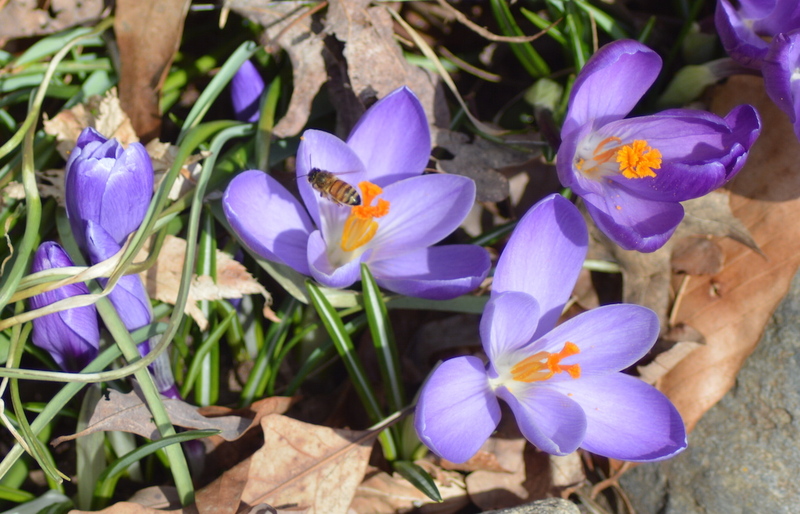 Thanks for sharing your crocuses, bees, and the warmth of your spirit.